Building upon an existing neural network visualisation, I added additional features such as being able to add, adjust, and remove links between neurons, and being able to control where neural layers are added or removed. This gives the user additional flexibility in sculpting the neural network, and helps to further build intuition. A game inspired by Wei Qi, but updated for the modern world. Each tile is influenced by its neighbor, slowly converting to the neighbor's color. The more neighbors of the same color, the faster the conversion! 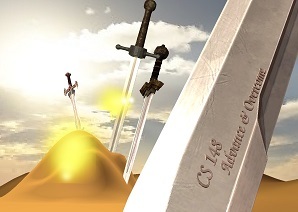 Created using Phase, a HTML5 game framework. My final project for the CS231A computer vision class. It's still a work in progress - there are quite a few other features (like face orientation and position of head) that I'd like to add that would probably improve the accuracy. This raytraced image was done in preparation for the final assignment of CS 148. The water was created in Blender, and rendering took 3 hours. I'm quite proud of it! Inspired by Schedulizer and the lack of a similar website for Stanford, I created a course scheduler that takes into account unit limits, time conflicts, and quarter availability. Hopefully fellow students will find this useful. I created this image render for the CS 148 class at Stanford. It's my first go at OpenGL. Most of the modeling and positioning work was done in Blender. I worked with professor Ashutosh Saxena in his personal robotics lab to develop a new rope structure inference and manipulation process for the PR2 using a Kinect sensor. Our paper was published in the IROS 2013 conference. A friend-or-foe identification system using a laser beam as a directional interrogating signal and a radio module as the omnidirectional responding signal. It was the final project for our ECE 4760 course, and was featured on hackaday as well. The LED panel lights up as you move your hand over it, creating an intriguing light display. We spent many late nights working on this final project for ECE 3140. I programmed an ATTiny85 microcontroller, and hooked it up to a few servos and a speaker to create this wonderful little guy! The Instructables steps were very useful in getting this up and running.